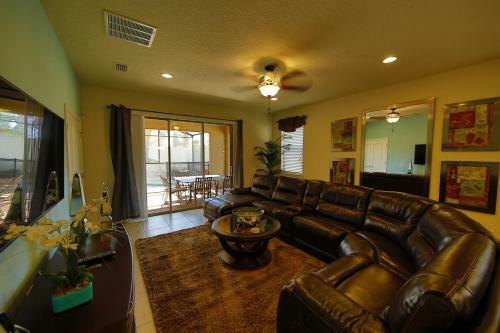 Disney Villa 6Bd/5Ba for 13 sleeps pool/spa in Kissimmee is a villa with 2 Rooms. 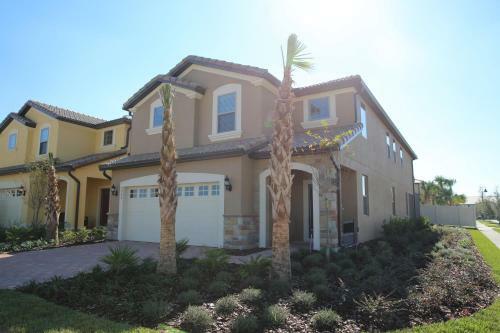 Located in Kissimmee in the Florida Region, 17 km from Kissimmee Value Outlet Shops, Disney Villa 6Bd/5Ba for 13 sleeps pool/spa features an outdoor pool and barbecue. 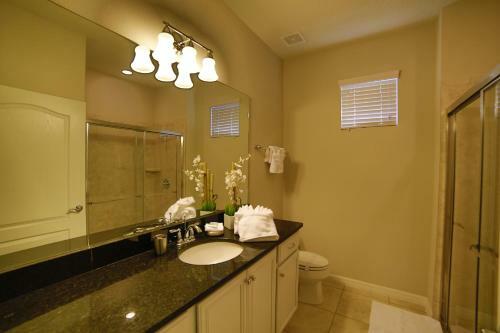 The accommodation boasts a private pool, a spa bath and a hot tub. 192 Flea Market is 19 km from the property. 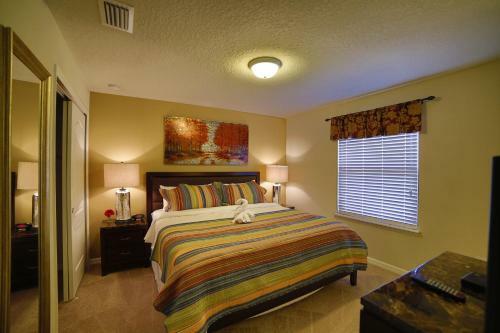 Complimentary WiFi and unlimited long distance calls are offered at the property. Featuring a terrace, the accommodation features a seating area with a flat-screen TV and iPod docking station. Some units have a dining are...a and/or patio. 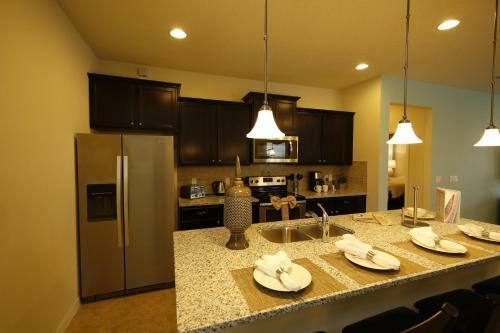 There is also a kitchen, equipped with a dishwasher, oven and microwave. A toaster and fridge are also provided, as well as a coffee machine. Free private parking is also available at this villa. Towels are offered. Disney Villa also includes a spa centre and sun terrace. Guests can enjoy a meal at the on-site restaurant or a drink at the bar. The property also offers grocery delivery. You can play tennis at the property, and the area is popular for golfing and horse riding. You can engage in various activities, such as cycling and fishing. Strollers, high chairs, and cribs area available at the guest's request. The resort features a clubhouse and resort-style pool with water slide. 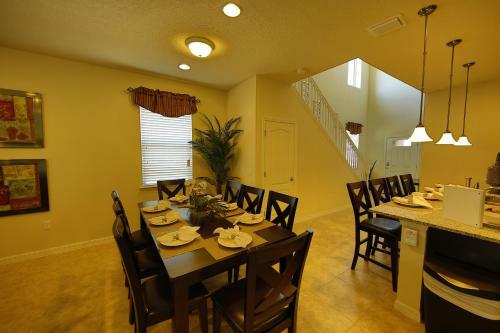 Plaza del Sol Kissimmee is 20 km from Disney Villa 6Bd/5Ba for 13 sleeps pool/spa. 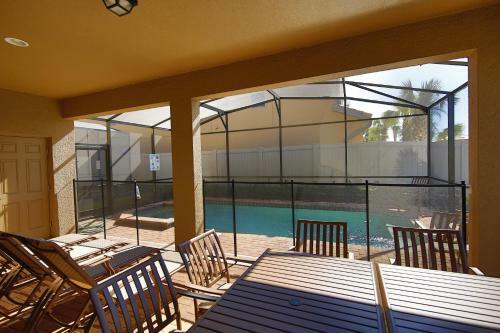 The nearest airport is Orlando International Airport, 35 km from Disney Villa 6Bd/5Ba for 13 sleeps pool/spa. 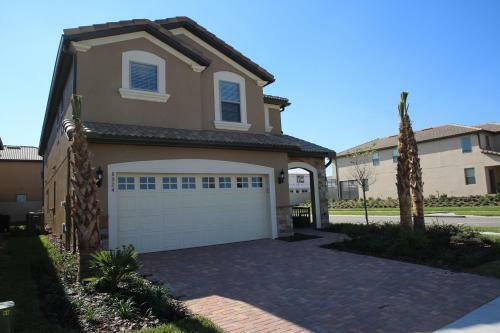 Located in Kissimmee in the Florida Region, 17 km from Kissimmee Value Outlet Shops, Disney Villa 6Bd/5Ba for 13 sleeps pool/spa features an outdoor p...ool and barbecue. The accommodation boasts a private pool, a spa bath and a hot tub. 192 Flea Market is 19 km from the property. 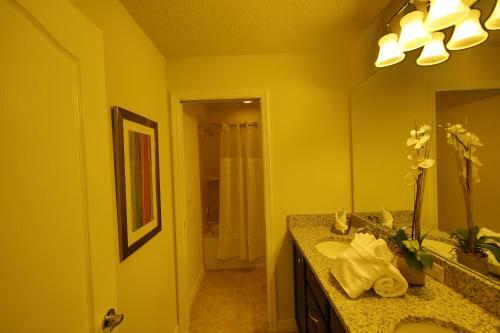 Complimentary WiFi and unlimited long distance calls are offered at the property. Featuring a terrace, the accommodation features a seating area with a flat-screen TV and iPod docking station. 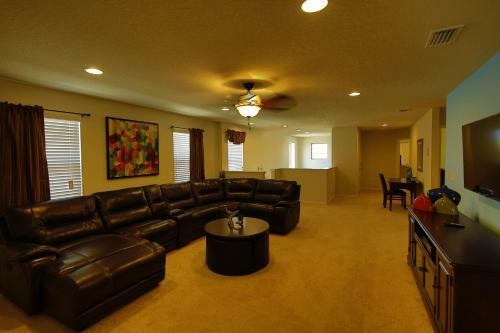 Some units have a dining area and/or patio. 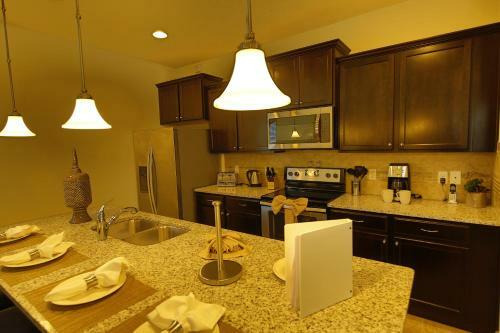 There is also a kitchen, equipped with a dishwasher, oven and microwave. A toaster and fridge are also provided, as well as a coffee machine. Free private parking is also available at this villa. Towels are offered. 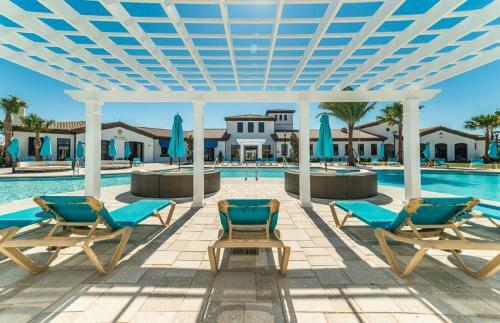 Disney Villa also includes a spa centre and sun terrace. Guests can enjoy a meal at the on-site restaurant or a drink at the bar. The property also offers grocery delivery. You can play tennis at the property, and the area is popular for golfing and horse riding. You can engage in various activities, such as cycling and fishing. Strollers, high chairs, and cribs area available at the guest's request. 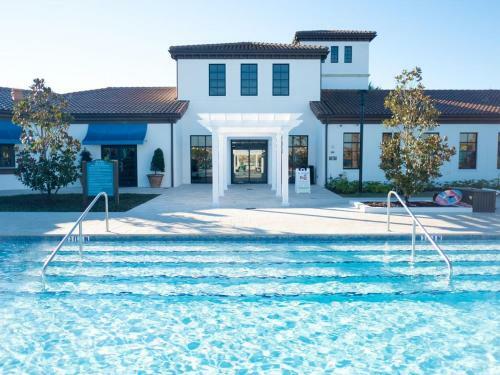 The resort features a clubhouse and resort-style pool with water slide. 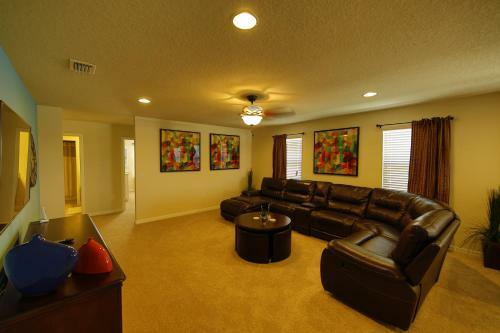 Plaza del Sol Kissimmee is 20 km from Disney Villa 6Bd/5Ba for 13 sleeps pool/spa. 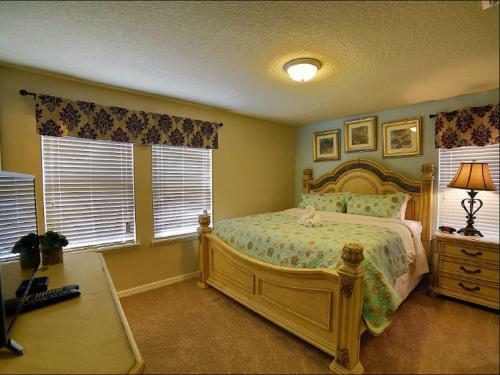 The nearest airport is Orlando International Airport, 35 km from Disney Villa 6Bd/5Ba for 13 sleeps pool/spa. 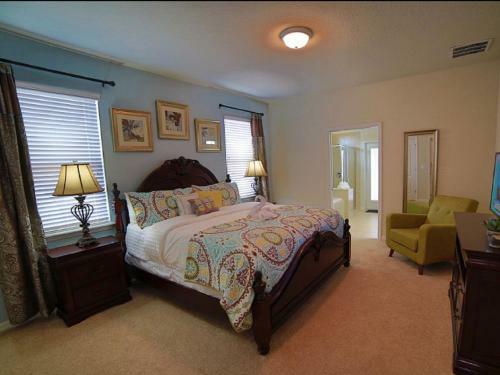 When would you like to stay at Disney Villa 6Bd/5Ba for 13 sleeps pool/spa? A damage deposit of USD 300 is required. The host charges this 7 days before arrival. This will be collected by credit card. You should be reimbursed within 7 days of check-out. Your deposit will be refunded in full via credit card, subject to an inspection of the property. 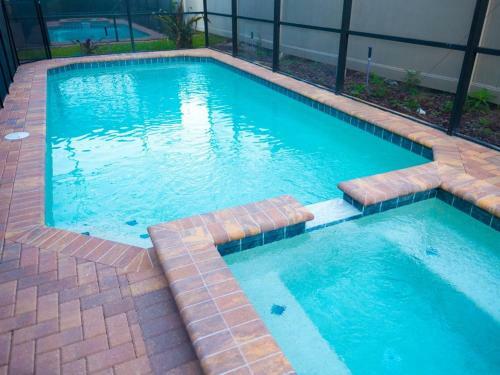 Pool heating, spa heating, and barbecue facilities are available for a surcharge. Please note that PayPal is an accepted method of payment. 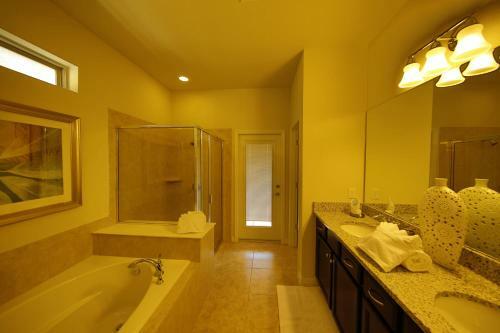 Contact the property for details.